SEND YOUR OLD BASTIEN PICTURES AND I WILL PUT THEM ON MY NEW PICTURES LINK . CLICK HERE RIGHT NOW . 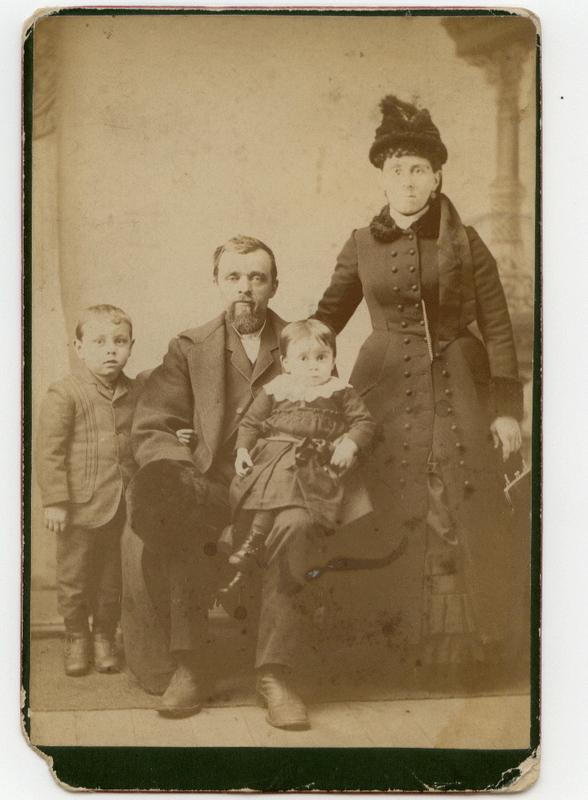 Joseph Bastien and family who came with his parents Antoine Bastien and Emerentienne Paquin to Jackson County , Illinois . This website will deal with the Vanasse dit Bastien families that immigrated to the United States . Armand / Herman Bastien and Diana Doyle in Providence RI -their marriage date August 23 1886 recorded in Providence RI .He was the son of Antoine Bastien and Amanda Bruneau of St Gabriel de Brandon . Antoine Bastien and wife Marie Mathieu are in the 1900 census for Detroit . Son Joseph and grandson Lawrence carried on the family name in the Detroit area . The other Bastiens in Detroit seem to be of the Rocan dit Bastien group not Vanasse . 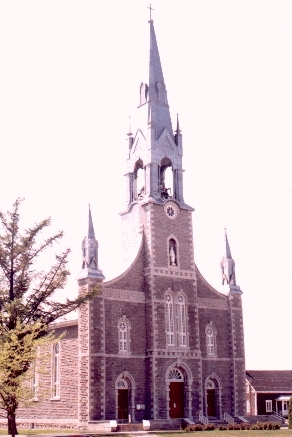 The Bastions of Pittsfield Massachusetts are descended from the children of Louis ( Vanasse) Bastien and Marie Josephte Arseneau of Louiseville Quebec . Their sons Joseph , Louis , Adele , Sophie , Frederick and Olive all settled in Pittsfield about 1850 which is very early for French Canadians to immigrate to the US . Please note the spelling for this family -BASTION . Adolphus Bastine who married Mary Bodah is the son of Joseph Bastien and Philomene Provencal of St Guillaume d'Upton Quebec . Descendants of this couple use BASTINE as their surname . Ludger Bastien of Chippewa Falls Wisconsin who married Adeline Brule in 1863 at Chippewa Falls was the son of Joseph Bastien and Marguerite Paquin of Louiseville and St leon de Maskinonge . Simeon Bastien who married Albina Ledoux about 1885 in Baltic Ct and settled in New Bedford is the son of David Bastien and Philomene Genereux who settled in New Bedford MA from St Guillaume d'Upton in Yamaska , Canada . The Bascoms of Newmarket NH are the descendants of Joseph Bastien and Marie Laporte . Joseph was from St Guillaume d'Upton Quebec. The Bascoms of Holyoke are descended from David Bastien and Philomene Guerin . David was from Maskinonge Quebec . The Bascoms of Agawam and West Springfield are descended from Amable Bastien from Maskinonge Quebec . He married his wife Sophie in 1850 in Worcester , then they settled in Palmer , Agawam and West Springfield MA . This branch of the Vanasse family descend from Jean Baptiste Sebastien Vanasse , the third son of Francois Noel Vanasse and Jeanne Fourrier .He was born on January 26 1682 at Champlain Quebec . He married Suzanne Baron dit Lupien on January 7 1718 at Louiseville . Within a couple of generations his descendants would drop the surname Vanasse and use the name of Bastien from their founder primary name .This is one of at least 8 different Bastien families that lived in the province of Quebec . The Bastiens mainly settled around Maskinonge south of Trois Rivieres on the north side of the Saint Lawrence River . Some like their Vertefeuille cousins crossed the river and settled in Yamaska . Some Bascom families of French Canada ancestry . Real name is Bastien . Amable Bastien and descendants settled in Palmer , Agawam and West Springfield Ma . Amable sometimes translated to Loveland , Lovely hence Loveland Bascom . David Bascom and Philomene ( sometimes Lucretia ) Guerin settled in Chicopee and North Adams . Son Eugene married Sara Lapolice -this family lived in Chicopee and Holyoke .Son (Napoleon) David married Annie Bell and had family in Chicopee MA . Their son David Bascom married Cora Cobb and moved to the Schenectady area of New York . Joseph Bascom and Marie Laporte had a large family . In 1880 they were at Lebanon NH. In 1900 and 1910 they were at Durham . Most of the children of this family settled in the Newmarket NH area.Joseph is the son of David Bastien and Aurelie Desjarlais of St Guillaume d'Upton Quebec . All these family derive from the Vanasse dit Bastien families of Quebec . The original name for this family was Vanasse dit Bastien , then simply Bastien . Bascom is used for some Bastiens in western MA around Holyoke , West Springfield and Agawam also Newmarket NH. Bastion is used in Pittsfield . Bastine is used in the area of Shirley MA. In some early New England records , I have seen Basquin and Baskin . Bastian is another name of German origin .